Incase you missed it, Byron burger recently launched their first herbivore friendly burger, that’s right – you can now easily be Vegan at Byron Burger – hallelujah. I remember working at one of my previous jobs in Soho and every so often someone would suggest we went for lunch… Another would pipe up saying: “Oh yeah let’s go to Byron burger”. Then I had to make the awkward decision of either being sociable but having a very basic lunch (don’t get me wrong nothing wrong with crisps & guac, but it was hardly a filling lunch), or I could be antisocial and stay in the office with something more interesting that I had found elsewhere in Soho/brought from home. The days of dry nacho crisps are long gone because the vegan burger offering: ‘Beetnik’ is pretty fab (and this is coming from someone that usually avoids Beetroot). 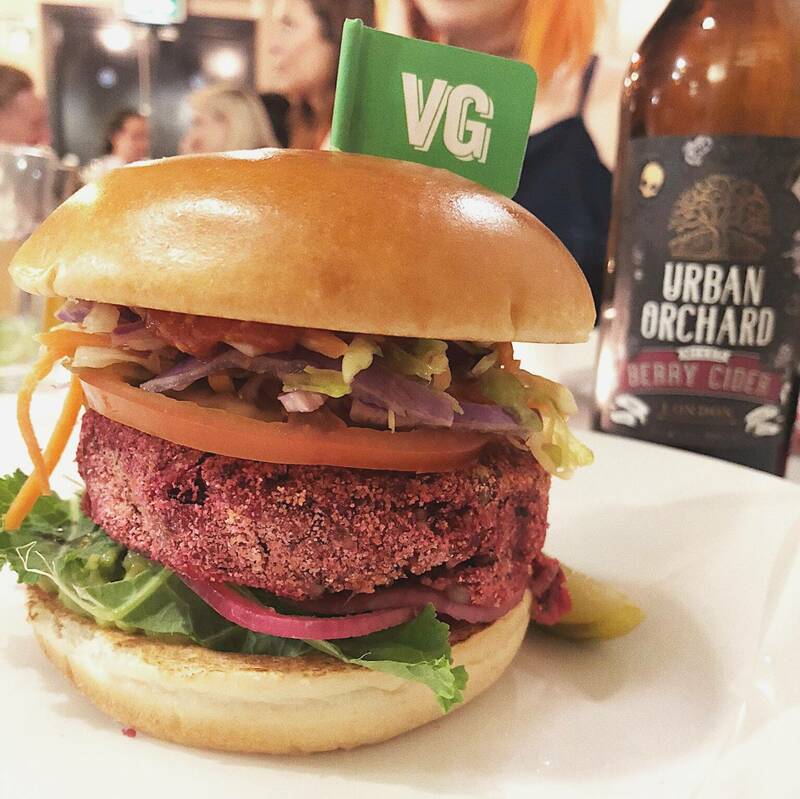 In between the lovely soft bun you’ve got a beetroot falafel patty with baby kale, smashed avocado, tomato, pickled red onions, red pepper ketchup and lime-dressed rainbow slaw. Yes, this was very tasty. At times it ran the risk of being a little dry but the smashed avocado helped relieve that (although I wouldn’t say no to more)! Or if you’re a spice fiend like me you can drizzle some hot sauce on there! Ps. If you’re gluten free you can still have the burger with a GF bun and sweet potato fries instead of the normal ones. Tried and tested by my gluten intolerant pal Kitty – read about what she thought here. 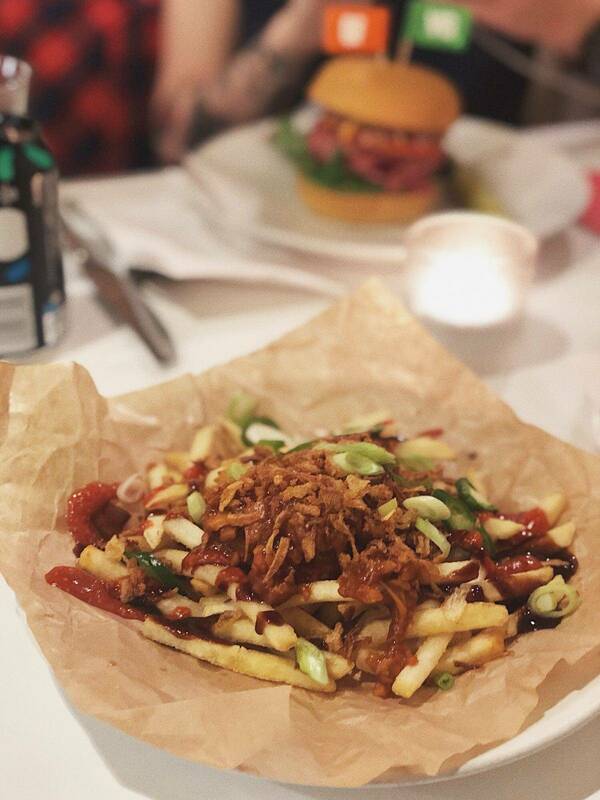 If you’re not feeling a burger there’s two other pretty impressive looking (and tasting) options: vegan stacked nachos or chips topped with bbq jackfruit, green chillies, sriracha, & onions – definitely a dish I will be trying again (with an extra serving of guacamole on the side, obviously). The loaded chips & nachos are both very delicious and were way bigger than I expected them to be! I reckon these would be perfect for sharing with a friend as a side, or big enough to have as a main dish too! 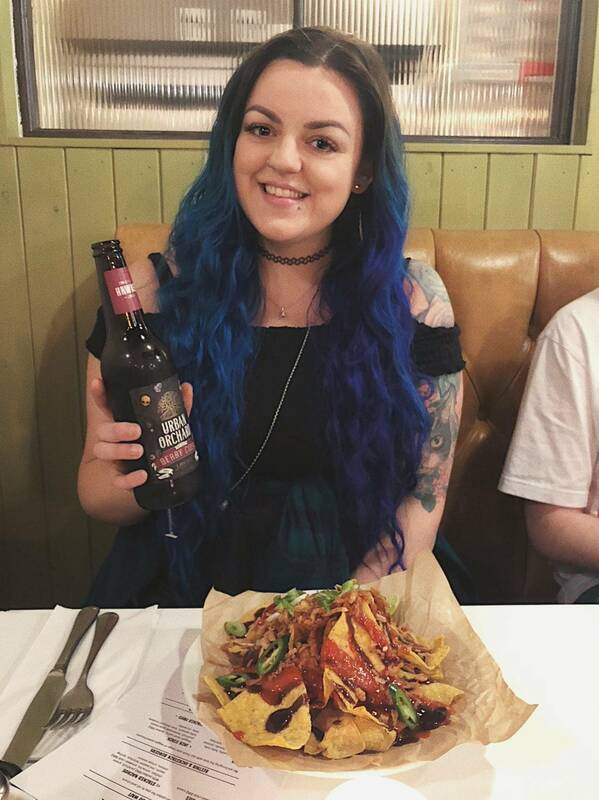 My only suggestion would be for Byron to create some amazing vegan mayo as that would be a great addition in the burger or to dunk the crisps / nachos in! 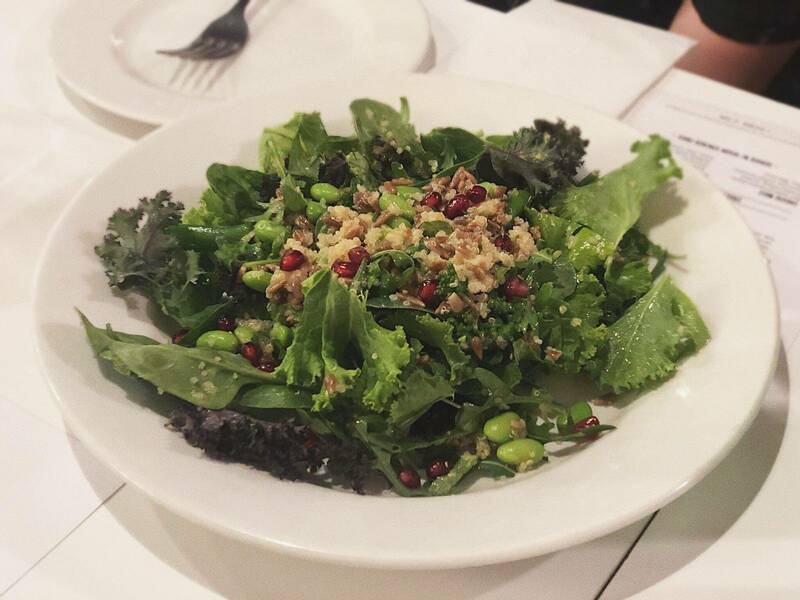 If it’s something a little lighter you’re after, the Superfood salad is pretty damn good as far as salads go… Quinoa, edamame, tenderstem broccoli, avocado, baby kale, and sunflower seeds all combined in a fresh salad. My only qualm with this is that it came with pomegranate seeds too which I just cannot stand – next time I’ll order it without. 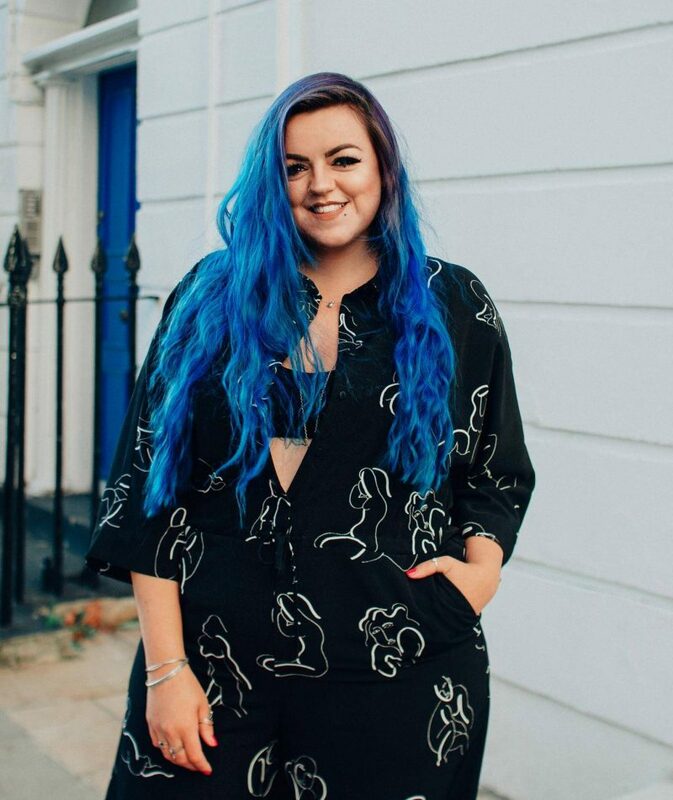 I was lucky enjoy to try a bit of everything vegan at their launch evening a little while back which is where I took all these pics (my phone was stolen later that evening but I was relived to find icloud had saved my pics already!). A cherry on top following the launch party was that I left with a goody bag including a bottle of hot sauce which I now stash in my desk at work + a gift card for my next visit! 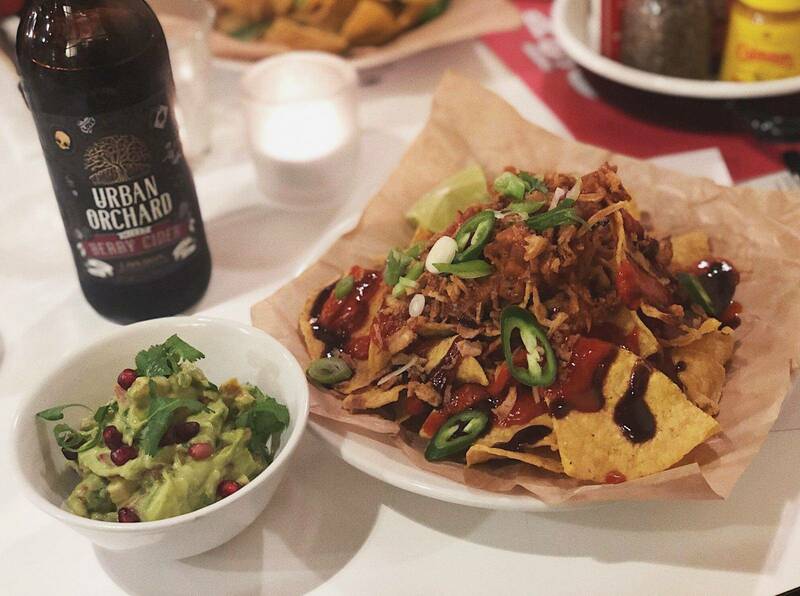 So there you have it, you can now easily be Vegan at Byron Burger which is pretty damn great when you think about it. Somewhere that was once so heavily meat based is catering for the plant-based consumers out there, so we’re not left with a try salad or plain nachos, and I love that their tag line is inclusive in it’s wording: “proper burgers for all“! You can check out their full menu here. Well done guys! pssst – rumour has it they’re also working on vegan friendly milkshakes that my friends Romy & Robert (of Veggie Lad) tried last month, and damn – doesn’t it look dreamy?